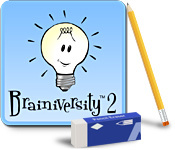 Brainiversity 2 is rated 3.0 out of 5 by 4. Rated 5 out of 5 by DCHinFLA from Superior Brain Training Game Pros: Simple interface Challenging mini-games Clean graphics Great tracking mechanisms Cons: Hate to spend points just to retry the mini-games Recommend this one over Brain Training for Dummies. 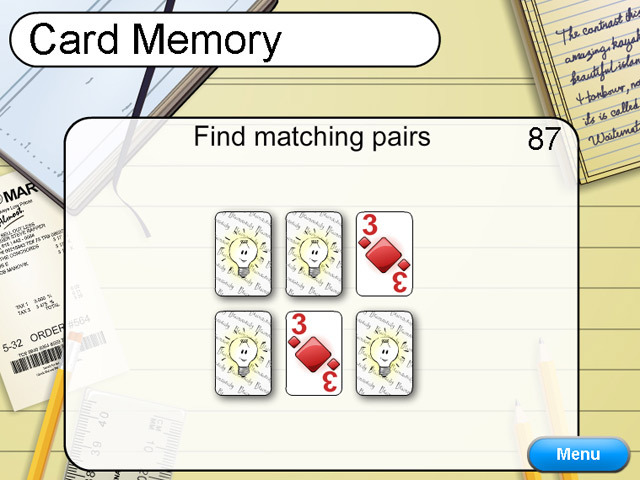 Rated 4 out of 5 by redlulu from Not bad for a brain game I enjoyed the trial run I took. I am going to buy it. Challenging and keeps you thinking. That being the point. Rated 2 out of 5 by mrm2006 from My Brain Was Not Very Impressed I have to say, I was truly expecting a much better put together sequel to the original Brainiversity. However, I was much disappointed. Storyline: None Graphics: Ok. You could see colors adequately. You could make out math problems, words, everything just fine. Sound: Sound effects were a bit annoying with all the "springing" type noises. Game Play: And herein lies the majority of the problem. This is a game wherein you play a series of games DAILY - understand? ONCE A DAY. Your test results are placed on a daily running chart and you earn "brainy bucks" to spend on other games you can unlock. Unfortunately, those other games cost 100 brainy bucks or more. And since you can only earn brainy bucks once a day, you may have to play for weeks to earn enough brainy bucks to warrant playing a few extra games just for fun. I get the whole "daily" thing for crossword puzzles, word search games, spot the difference and even suduko. Because with those types of games, you are using a significant amount of time. However, in this version of Brainiversity, your "daily" game quota is over in a matter of a few minutes. This Glam-ma says go ahead and try it for yourself. I can almost guarantee you will be as unhappy with the format as I am. But it's free. So, why not try it? Not a purchase for me. The review of this game is based on this Glam-ma's opinion - and only mine. Therefore, if you found this review to be helpful, please click on the "yes" button below. There is also a "no" button. Seriously? You'd give your Glam-ma a "no"? Kidding. Happy Gaming! Rated 1 out of 5 by Yaiyaiyai656 from Didn't like it. I really didnt like it. Graphics were awful. Chalenge level was excellent though, but sound hurts your head. Please do not download the trial or buy it.